Arbonne International is a $450 million business that specializes in aromatherapy, cosmetics, nutritional supplements and skincare products to be sold in a person to person marketing style. Arbonne International was originally started in 1980 by Norwegian Petter Mørck. Mørck developed Swiss care products in Arbonne, Switzerland and so founded Arbonne in the United States. Arbonne, which means beautiful tree, carries a line of products primarily geared toward women. While the price tags are higher than that of companies like Mary Kay or Avon, the products have more natural ingredients and a more luxurious appeal. 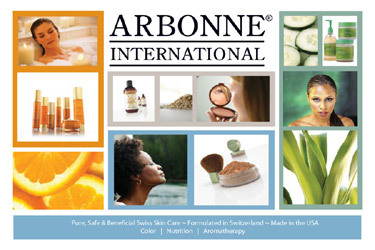 Arbonne uses primarily natural ingredients to create health and beauty products with soft descriptions and shiny names. “Vanilla Amber Shimmer Powder–A light dusting finishes your look with a beautifully soft and delicate shimmer. Key Ingredients: Mica, silica, barley extract, rice starch, safflower seed oil, avocado oil, sandlewood extract, phellodendron bark extract, vitamin E.” This product sells for $39.00. Arbonne is currently headquartered in Irvine, California with over 200 employees and 700,000 independent consultants in four countries. I thought they filed bankruptcy?